One Dad. Four daughters. 9,207 worksheets... and counting! 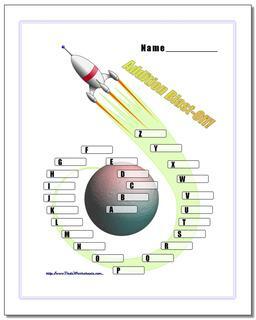 This page contains links to free math worksheets for Spaceship Math Check-Off problems. Click one of the buttons below to see all of the worksheets in each set. You can also use the 'Worksheets' menu on the side of this page to find worksheets on other math topics. Get ready for blast-off! The pages below have exciting full color Spaceship ship check off artwork for each Spaceship Math operation. Keep Track of Spaceship and Rocket Math Progress! One minute timed drills go by a lot of names including Mad Minutes, Rocket Math or, around here, Spaceship Math... No matter what you call it, these practice drills are a great way to learn your math facts! Many schools start with addition in first grade, subtraction in 2nd grade, multiplication in third grade and finally division in 4th grade.